Today is the last group walking day of the year. The days can only get longer now. Walks resume on Wednesday 1 January with a Whaley Thorns route (6 miles) and an extra train ramble (8 miles) – details in the Walks Programme above. Happy Christmas and New Year to all. 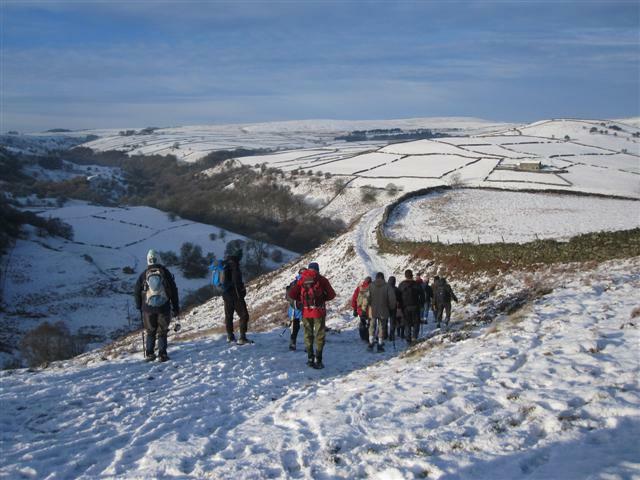 If you’ve not joined us before on a walk you’re very welcome in 2014. Many thanks to Cathy for her pre-Christmas Chesterfield walk. 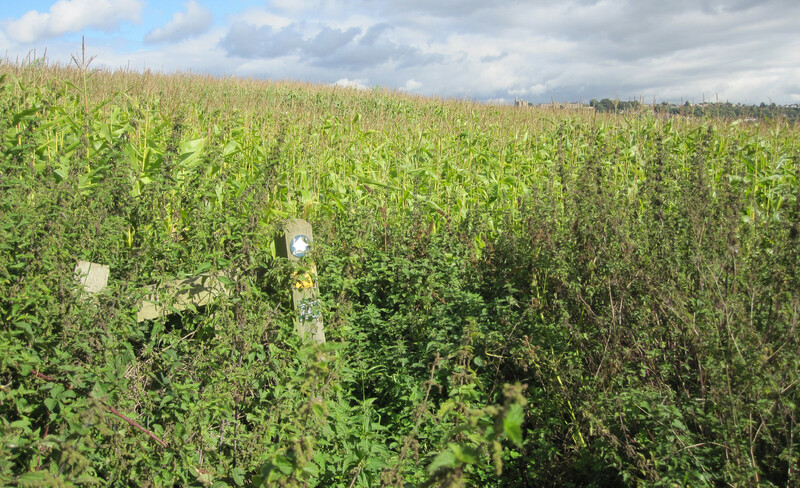 ‘Seventeen walkers joined me today on a circular walk from Chesterfield. Seven joined me at the No 10 Tea Rooms for a bacon butty before starting the walk from the library steps. We walked out to Holymoorside following the South Chesterfield way for a while, then across the lanes and fields to Old Brampton and Linacre where we picked up the North Chesterfield way back to the tea rooms for a hot drink and goodies. Derbyshire County Council, according to a BBC news report, are reported as wanting to do more to promote our own patch of north east Derbyshire as a tourist attraction. Good news. Nobody underestimates the value of the Peak Park, not least ourselves who do much of our walking there – but we shouldn’t nevertheless downplay the attractions and countryside on our doorstep. Our walks regularly take in places like Hardwick Hall, Bolsover Castle, Creswell Crags, Sutton Scarsdale Hall, Renishaw Hall, the Chesterfield Canal, etc., etc. The area has its own Walking Festival each May in which we strongly participate. Even without the Peak, we are very fortunate in living in a good walking area. Hopefully any focus on NE Derbyshire will ensure the footpath infrastructure is maintained to the standards of a tourist attraction. Thanks to Mel for photos from today’s Grindleford Station walk, via Hathersage, Stanage Edge, and the Burbage Valley. Pauline and Clive were the leaders on a wonderfully sunny day. Railway bridge footpaths can be attractive – or not ? A contrast in styles over the Midland mainline near Stretton.